Neon, the distributor behind Assassination Nation, an upcoming thriller starring Suki Waterhouse and Hari Nef, has reportedly had problems placing ads for the movie on both social media and traditional billboards. The premise of the film is this: a hacker enrages a bunch of small town citizens by doxxing them, and four high school girls fight back with lots of guns. 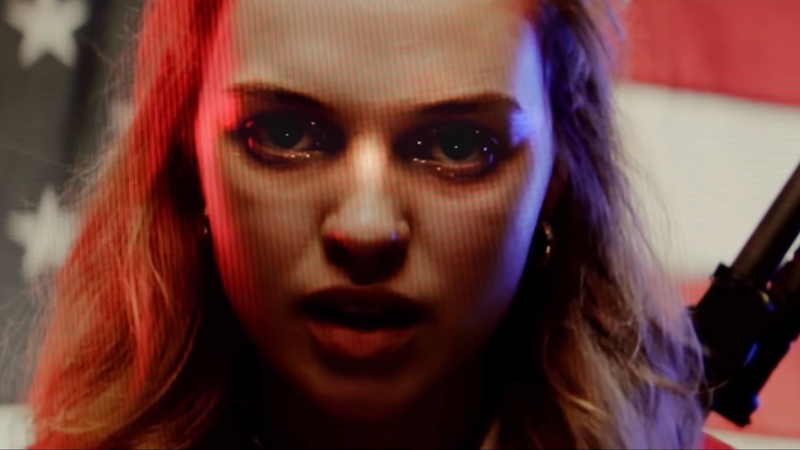 Stills from the movie feature Nef, Waterhouse, and their co-stars Odessa Young and Abra in cherry-red leather jackets, wielding guns, and alternating between looking scared for their lives and seriously pissed off. According to Variety, Neon had trouble getting these ads on Facebook, Instagram, and YouTube. These purported ad issues itself could just be a savvy marketing strategy, but since the movie is out this Friday, soon that won’t matter much. The film is estimated to bring in around $4 million, which in the movie business is not all that much. Jezebel reached out to Neon for clarification on the ad issues. We’ll update this post if we hear back. Steve McQueen and Gillian Flynn Made a Thriller Starring Viola Davis?! And There&apos;s a Trailer?!? !